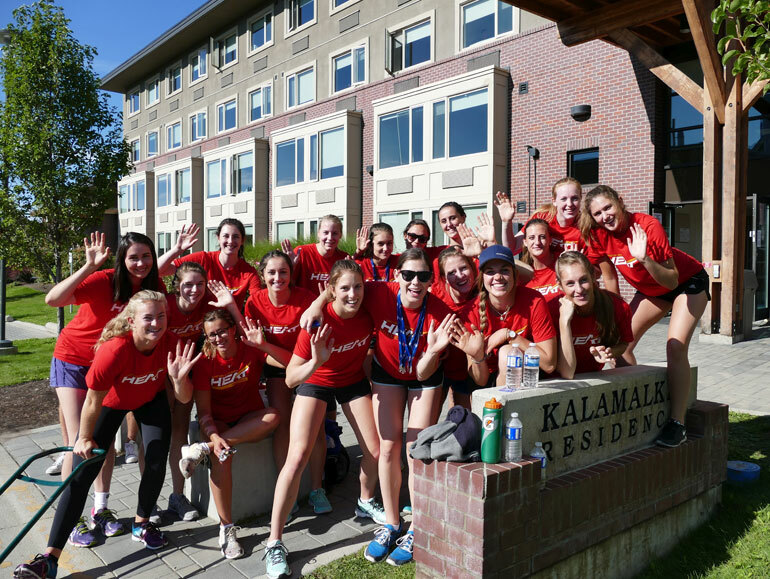 Members of the UBC Okanagan Heat women’s volleyball team were among dozens of Heat student-athletes on hand Sunday to help 1,200 fellow students move in to residences on campus during the annual “move-in” day. More than 2,250 new undergraduate students are among the 8,400 students beginning classes this week at UBC Okanagan. 1,375 students from British Columbia make up 61 per cent of all new undergraduates. More than 1,900 new students are from communities across Canada. International student enrolment tops 1,000 for the first time -- with 213 international graduate students and 875 international undergraduate students. “We are welcoming more than 2,250 new students and well over 6,000 returning students from across Canada and around the world to our remarkable learning community,” says Deborah Buszard, UBC Deputy Vice-Chancellor and Principal of the Okanagan campus. Students are enrolled in six faculties and two schools offering 53 undergraduate (bachelor’s degree) and 14 graduate (master’s and doctoral degree) programs. UBC offers undergraduate students the opportunity to take part in a wide range of experiences that enhance their learning – including undergraduate research, community service learning projects, a growing number of co-op options, international service learning, study and research abroad programs. Over the past week, more than 1,600 students moved into residences on campus. UBC Okanagan residents can apply to live near other students in residence in Integrated Learning Communities. Each community is made up of like-minded students and paired with a faculty or staff member who dedicates extra time and resources throughout the academic year to providing extra-curricular programs and educational opportunities tailored to each group.